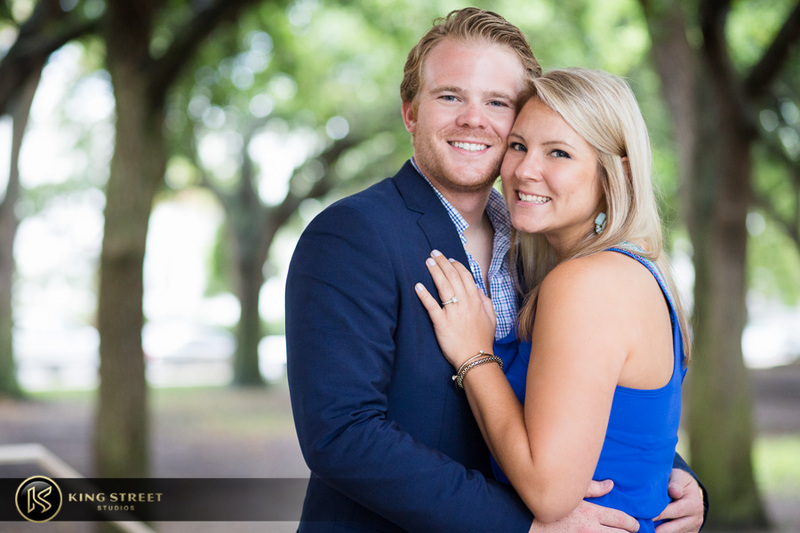 Tyler reached out to us looking for a way to surprise his soon-­to-­be fiancé, Ania, with a secret proposal shoot. 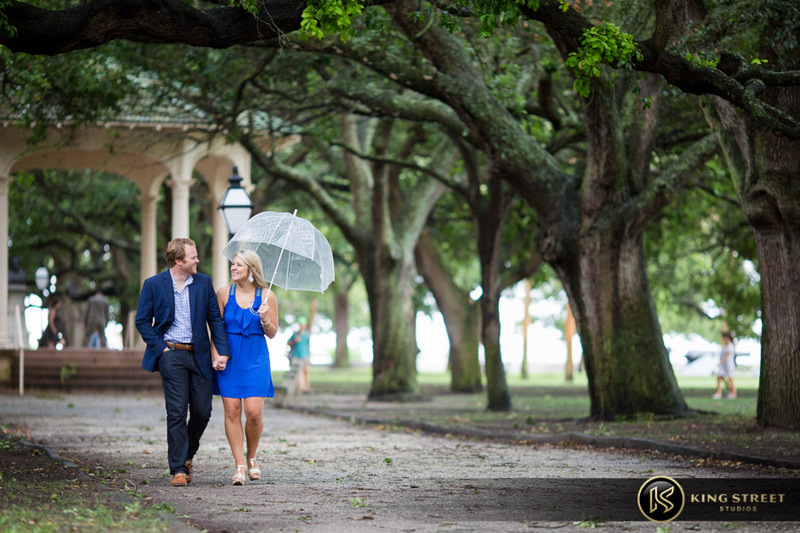 This proposal was originally supposed to be shot at the historic Angel Oak tree out on Johns Island, but because of inclement weather, it was changed last minute to White Point Garden in downtown Charleston underneath the gazebo. After Ania went through perhaps the greatest surprise of her life, she was again surprised by her mom and brother making an appearance to help Ania and Tyler celebrate, making the day that more memorable. 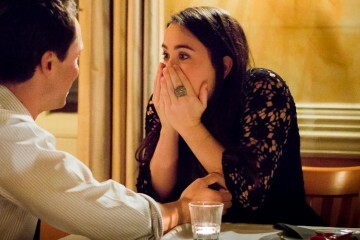 A secret proposal is a really unique way to have your proposal documented. 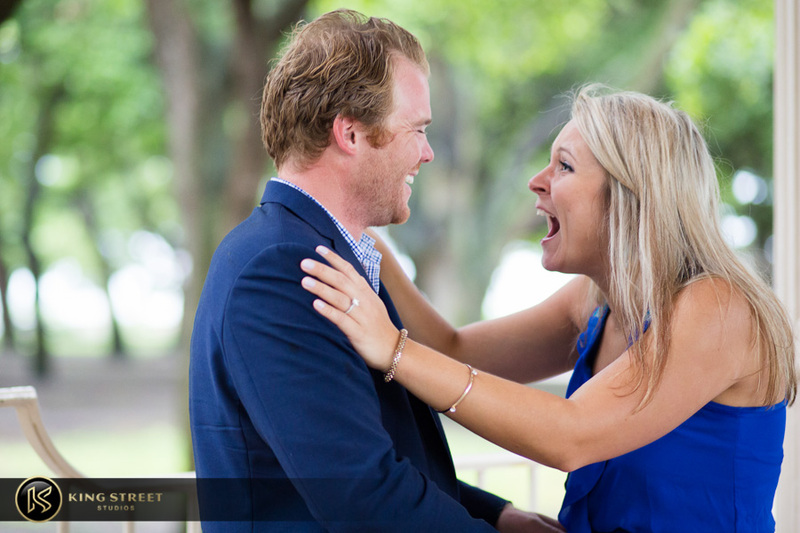 Pretty much what happens is we send out two photographers to capture your proposal. We help coordinate everything down to time, location, any props you are wanting to use (e.g. 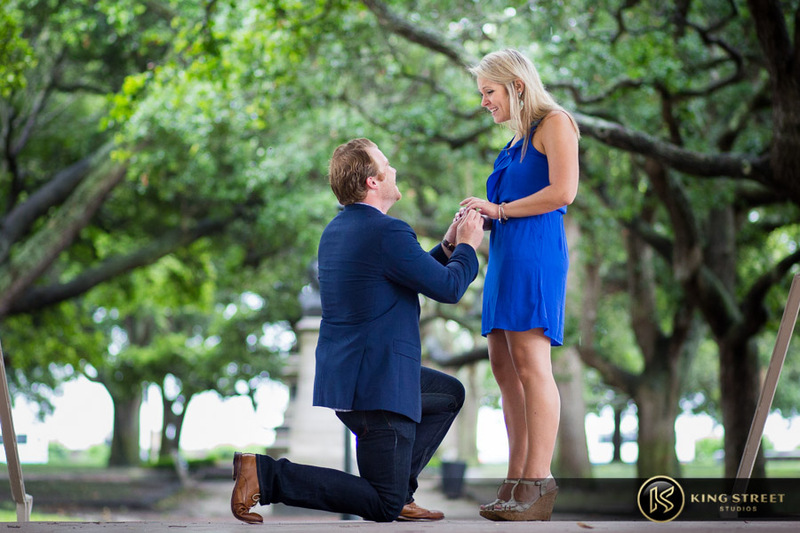 rose petals, written messages, candles, etc), even the exact spot we want the male to get down on his knee, that way our photographers have the best angle on the events that will take place. Once we have everything planned out and the proposal day arrives, two of our photographers meet with the male to answer any last minute questions. 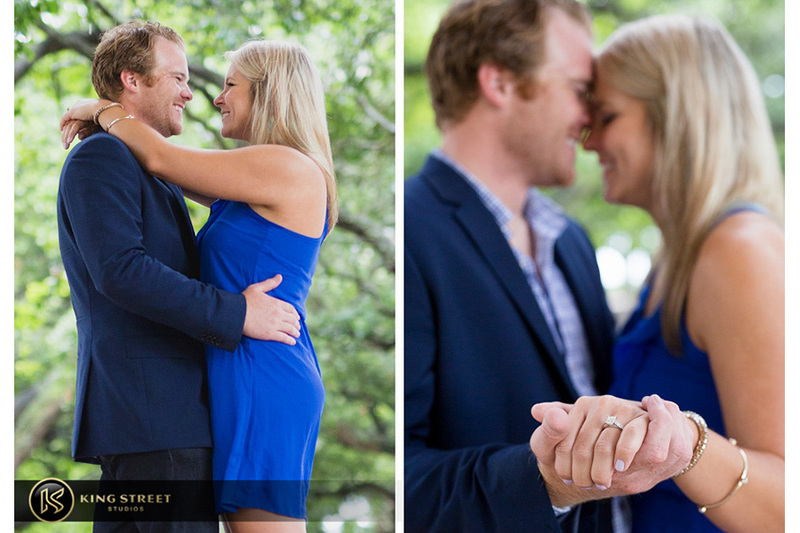 When everything is finalized, the photographers will then hide in different places to capture the proposal at different angles. 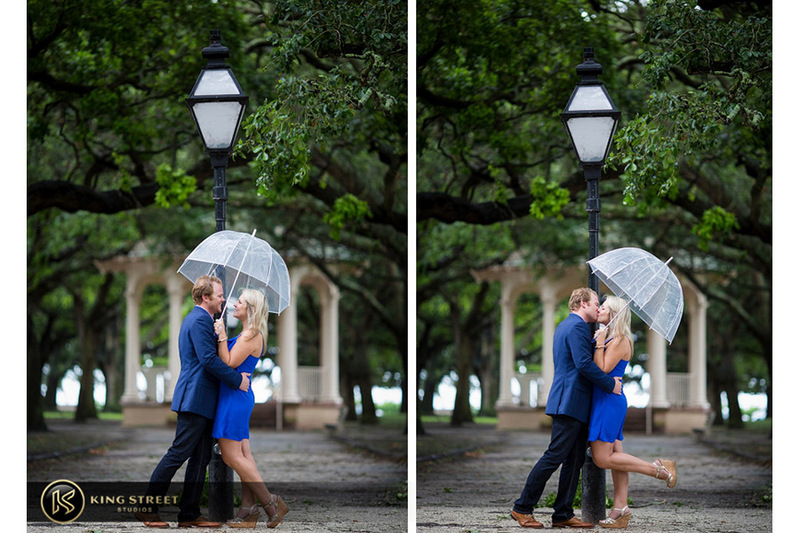 Because Charleston is such a historic town, filled with many tourists carrying around cameras, our photographers blend in well with the crowd. 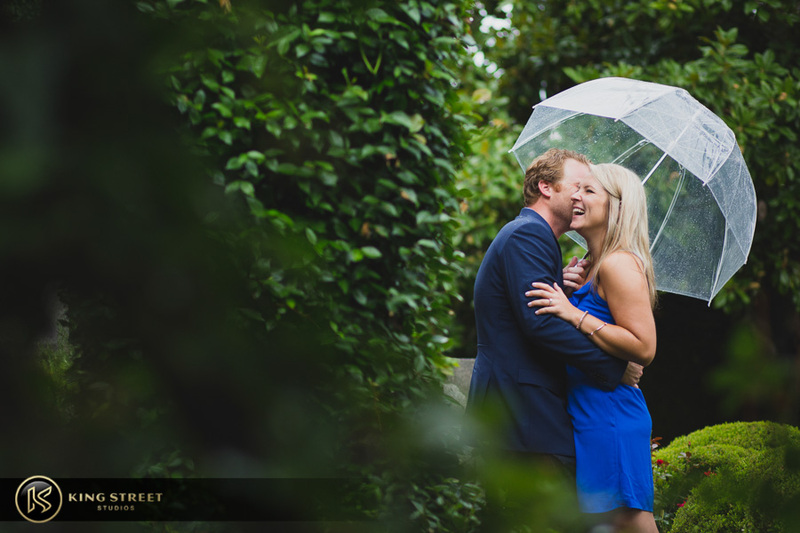 So, there’s no need to worry about our photographers standing out and blowing the secrecy! 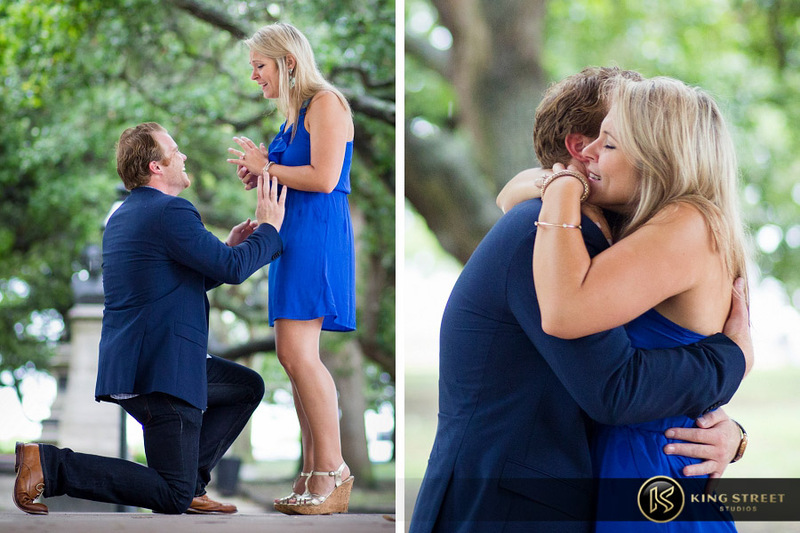 After the actual proposal is completed, the photographers will then come out and congratulate the couple. If any friends or family are around, they will be invited to come out too. Once all of the congratulatory tears dry up, our photographers will stay around and shoot portraits of everyone. 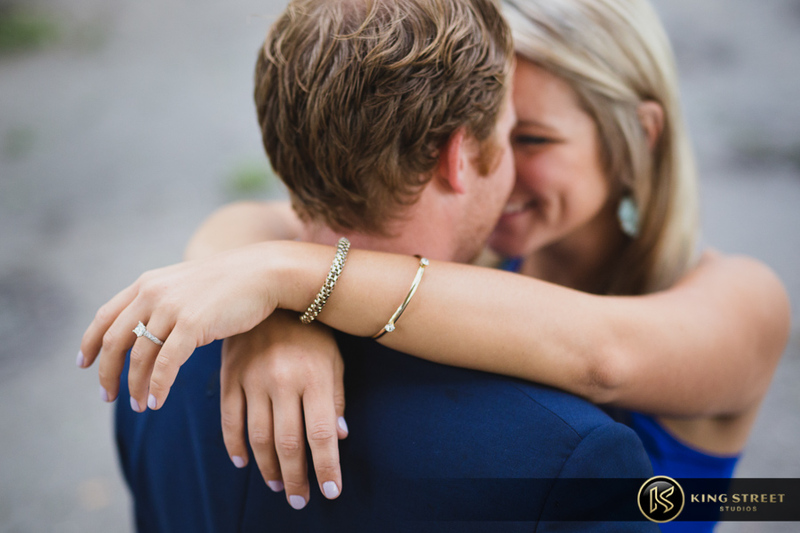 If having a secret proposal sounds like something that interests you, do not hesitate to reach out to us. 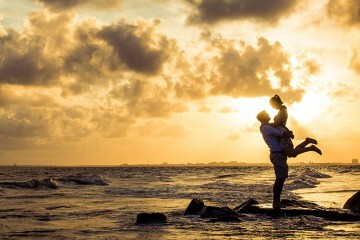 We love these shoots just as much as our other ones, and it’s always good to be able to have documentation of such a surprising, emotional moment to share with family and friends.